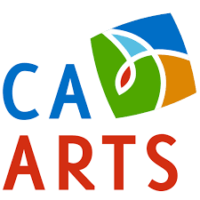 Nevada County Arts Council invites the community to a significant meeting on Thursday, June 7, at 10 a.m. The California Arts Council will hold one of its five annual public meetings here in Nevada County. Council Members – among them those appointed by Governor Jerry Brown – along with senior staff members including California Arts Council’s new Executive Director, Anne Bown-Crawford – will be arriving from different parts of the state for an all-day convening at the Miners Foundry in Nevada City. BriarPatch Food Coop will be generously sponsoring tea, coffee and muffins at the start of the day, in an on-going partnership with Nevada County Arts Council that supports community building and engagement. More information on the California Arts Council’s meeting agenda can be found at http://www.cac.ca.gov/aboutus/councilmeetings.php.